Finally, an affordable Intraoral Dental Camera that WORKS! 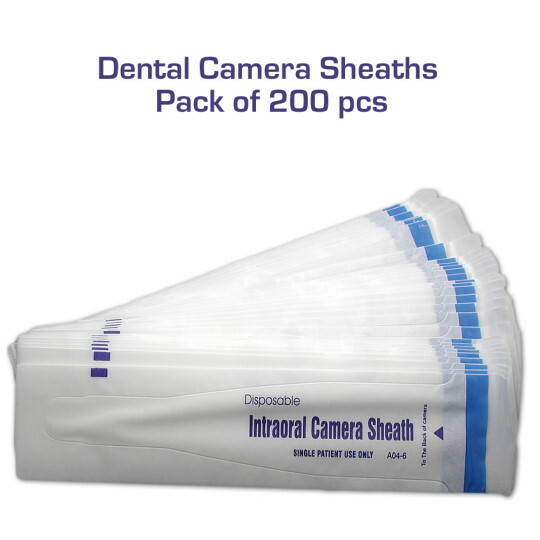 Intraoral cameras with same or lower image quality can cost from $1500 to over $5000! Don't make that mistake! 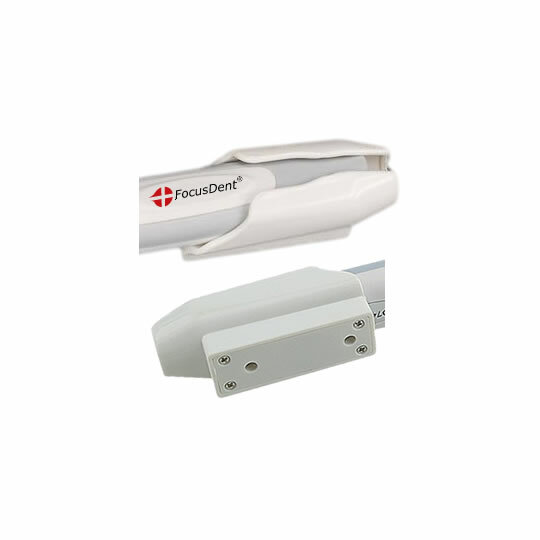 FocusDent MD740 portable intra oral camera is lightweight, hygienic and easy to hold. Camera control buttons are conveniently located on the handpiece for efficient one hand operation. Freeze images with a simple press of a button, then save the image into the patient record on your computer. The lightweight handpiece does not require any focal adjustment. All objects snap automatically into sharp focus. FocusDent USB Intraoral Dental Camera is compatible with a huge list of current dental software applications, which have the ability to install and select a standard USB 2.0 imaging device. 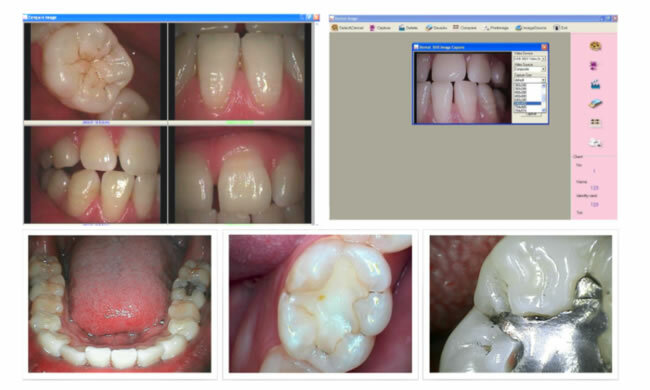 Our camera is automatically recognized as an imaging device within Windows device manager and in most cases you just need to choose it within the charting menus of your existing dental imaging software. Please note that some dental imaging software vendors will not allow integrating our camera fully into their proprietary software. This means that in some cases you (or your dental assistant) may have to click on the capture button in your existing software user interface to capture the image. Some of these vendors require that you purchase an additional imaging module from them. FocusDent MD740 Camera is currently not TWAIN compliant. Please make sure your existing imaging software supports an external USB camera. 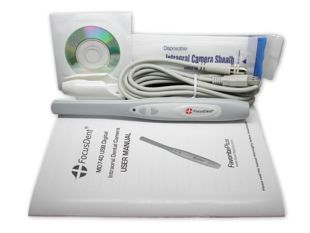 FocusDent camera includes our FREE proprietary patient database and image acquisition software that is very easy to use, and allows you to see the video image and save snapshots in JPEG format to your PC. 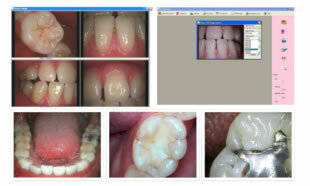 After that, images can be imported into your own dental database application if needed. This system is the ideal tool for dental professionals looking for high quality affordable USB dental intraoral camera for patient education, case acceptance, and improved patient communication. Works with Windows XP/Vista/7/8/10 without the need for special drivers. 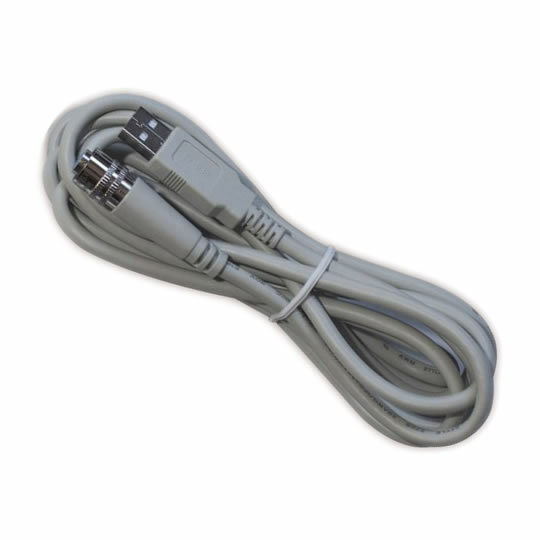 Simple and easy USB 2.0 Plug & Play installation via USB port on your computer or laptop. Say goodbye to docking stations and video capture cards! 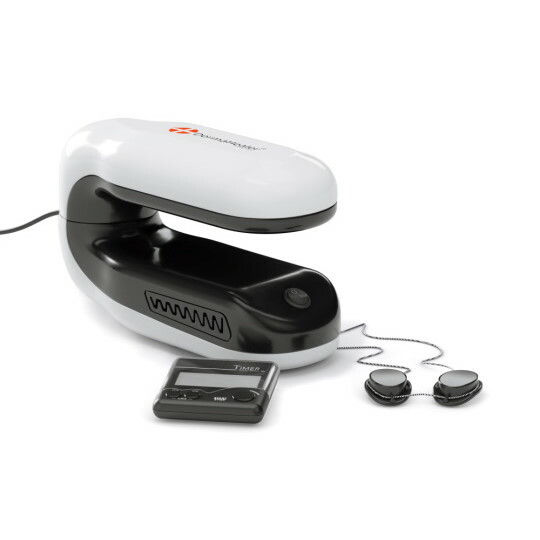 Fully compatible with a huge list of current dental software applications, which have the ability to install and select a standard USB 2.0 imaging device. Please make sure your existing imaging software supports an external USB camera. Camera is currently not TWAIN compliant. 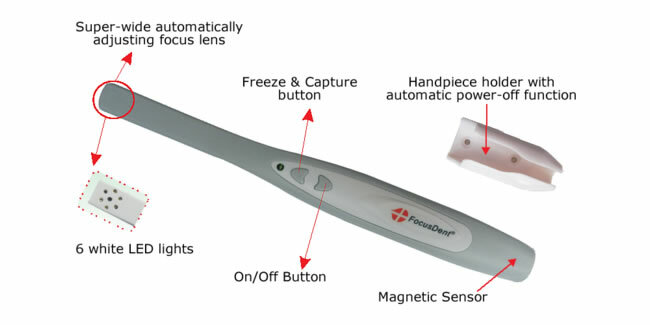 FocusDent MD740 camera is backed by One (1) year FavoritePlus NO-Hassle Free Replacement Guarantee! 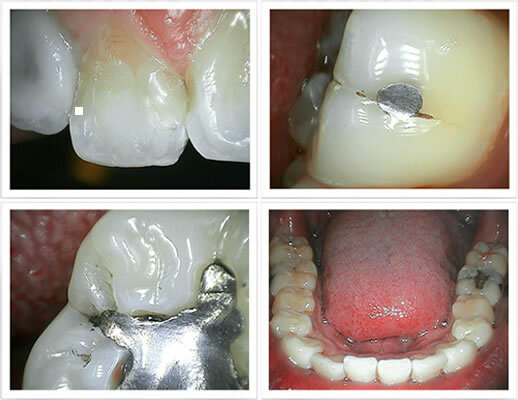 Take action now and click the Add to Cart Button to order your dental camera today! One (1) year FavoritePlus NO-Hassle Free Replacement Guarantee! How do I get my FocusDent MD740 dental intraoral camera to work with my Mac? You will need a Mac running OS 10.4.9 (Tiger) or higher. Your Mac will automatically recognize the USB dental camera, so you won't need to use the included CD (which only has Windows software). 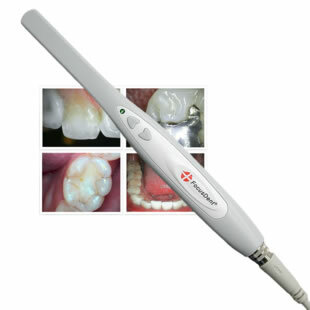 Instead, you will use your intraoral camera through Apple's preinstalled imaging programs, either Photo Booth or iChat. Make sure your Mac is powered OFF, and plug the camera into a port on the computer - not the keyboard port because a keyboard does not deliver enough power to run the camera. Turn ON your Mac, locate the imaging software (we recommend Photo Booth), and open the program. Select the "Camera" tab in the program's window. Select "USB camera" as your camera in the software properties. The camera should now be transmitting an image to the Photo Booth screen. Press the Power button on the camera handpiece to take a photo and then press the image capture button in the Photo Booth program window with your mouse to actually save the image. Move the saved image to any directory needed. Very good quality of Dental camera and fast delivery time.